Showing Grand Prix Freestyle in Moorpark, CA. 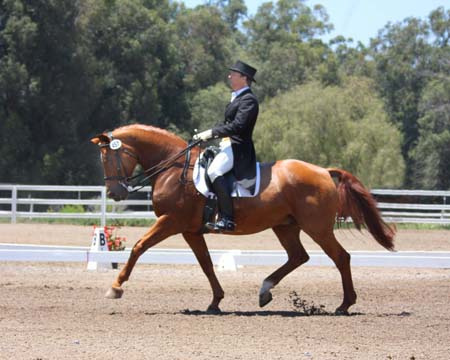 'Ali' owned by Charis Pond of Riverside, Ca, is a 21 year old Hanoverian mare. flying changes every other and every stride, Extended Trot, Piaffe and Passage. Grand Prix Freestyle Performance Certificate which is 10 scores above 60% at a recognized show. 5 years old during her very first week of riding. While smiling from ear to ear, she is sitting straight with soft hands and heels down while feeling the horse's belly swinging from left to right at the walk. Miss Amanda Avrit and Jet Paradise At only 7 years old, Amanda loves the attention to detail, and is full of inquisitive questions towards becoming a harmonious rider and loving horse person. 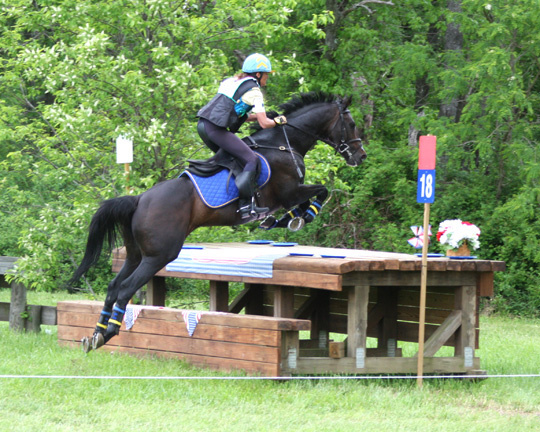 Pam Fisher and Simply Priceless United States Equestrian Team candidate for Three Day Eventing or the 2011 Pan Am Games and the 2012 Olympics. Anastasia Dimitriu Shupp,Su-Sham+ and Night Moves++ of San Diego writes... "There are so many people in the horse industry that claim to be experts, whether the claim is as an instructor, or trainer, or even a "horse whisperer". A depressingly few can deliver on those promises, and just a tiny fraction of that minority has the education, knowledge, experience, and out-and-out "feel" for both horse and human to do it all. Susan Derr Drake is one of those rare gems. It doesn't matter the style of riding, the training level of horse or rider, the breed of the mount, or even the age or ability of four-legged or two-legged partner, a lesson from this incredibly gifted teacher will focus the student on his or her goals in a low-key, positive manner. What is learned will become a roadmap for improvement, for the benefit of both horse and rider. Susan has ridden hunters, jumpers, three-day eventers, saddle seat horses, western horses, reiners, in gymkhana events...oh, and did you know she was also long-listed for the Olympics in dressage (she has over 116 dressage Grand Prixs under her belt?) However, Susan's real talent lies in the way she can make even complex concepts understandable. In this manner, she brings harmony to those that wish to improve communication with their trail horses as easily as she can help smooth a rough edge in a dressage test. The point is not to "do dressage", but to open the lines of communication between horse and human. Susan is hands-down the one person I wish I could ride with regularly. I cannot recommend her enough to whomever wishes to improve the connection to his or her horse. Jump at the opportunity if you get the chance to work with her--you will be amazed at what you learn!" Facebook:- Susan Derr Drake: I'm grateful for your "magic" with horses, where with just a handful of words you bridge the communication between horse and rider and produce unbelievable results, making it all seem easy. "Thank God for Susan's God given Talents! Just sayn..."
Lorraine Argo of Gaviota, California shares her thoughts ... "Susan is an exceptionally accomplished dressage rider and horse trainer. She has helped me open many new doors. She shares her knowledge with those wanting a deeper understanding of the horse, and her coaching naturally extends to personal growth. Susan's patience and understanding has supported me through countless situations. I am thankful she was recommended to me, and appreciate each opportunity to learn from her. Above all, she is a partner on the path to excellence and I am grateful our paths met." Colleen Conners, Dressage rider, writes... "During the 'Finding a deeper connection to your horse' clinic, Susan was wonderful because she helped me discover my mare, Alex’s, personality as being the 'look out 'horse in a group of horses and she taught me to work through that toward relaxation, without becoming tense and frustrated by helping the mare download the information to me. With that newfound knowledge of me acknowledging her awareness of activities and things and beings around her, so she could let them go. I was able to help Alex relax, which helped me relax and have a really fun experience. So instead of saying, 'don't look at that chair, horse, blowing plastic', I would just say, 'Oh thank you for letting me know there was a chair, horse, blowing plastic there and then let her know she was safe and have her notice something about my aids, seat, legs, hands, weight, energy and voice while staying clam and breathing. This was an experience that I can take with me to other events." Betsy Riedy of Santa Ynez, California writes..."Oh ... funny story ... after Susan's clinic with the Fillies Trail Riding Group, last weekend I rode Target, my Pinto Percheron cross, the next day and applied the breathing techniques (getting the horse to sigh and relax). Being the trooper he is he held back on the request (it has to be his idea sometimes) until he finally let go and gave me the sigh (ta-dah!). The next time I rode him no sooner did I get on then he started releasing the sigh (and vibrating his lips) ... he did this twice in succession to be sure I got the message! When he got a little uptight in the arena over something I was asking him for I started the breathing exercises and waited for him to respond - he caught on, relaxed ... and proceeded on with the exercise as if it was something he did all the time (we were doing a leg yield ... it's an effort for both of us (we feed on each other's anxieties)) ... the breathing exercise gives us a moment to recoup and re-organize ... for Target he did them perfectly! Betty Craig, AHSA 5th place in US for Half Arabians at Training Level Dressage says: "Susan has the intuitions, the experiences, and the knowledge. When you are ready to become the best you can be, call her." 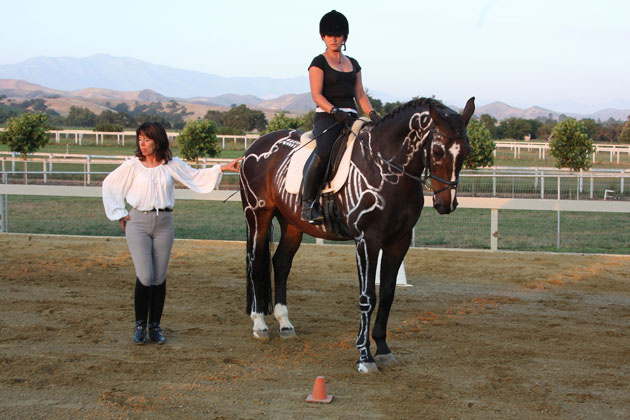 Writes J to Susan... "Yesterday's workshop on anatomy for Riders was really extraordinary. To see a real, actual horse's spine depicted with tempora paint on ridden bodies and then to have the model visible horse skeleton both used those to explain why we are being taught to ride the way we are--and then, what you are so brilliant at--to see people riding to influence different parts of the spine and improving right before our eyes under your guidance--was the kind of think you think should be required training before anyone can have a horse--a rider's license. The visuals may well stick with me--even without having to make notes. Of course, a long way between seeing and doing, but your workshop was extraordinarily effective at explaining the whole gestalt and then the pieces and then putting it back together again in several different ways to help people grasp it. It was very helpful to have Paul on Alanti, the Grand Prix Dressage horse at the high end, intermediate riders and more beginning riders, too, to observe the different stages as one tries to put it together while riding. You are really, really gifted. I have been a teacher and watched many, many teachers in different settings. Across the board, you are right at the top--and in a subject where it is really hard because everything is not under your control. You have to go with what presents itself and know what to suggest on the spot to make things better and illustrate your points. To say and demonstrate enough, but not too much so it might overwhelm. A teaching triumph in any setting." Tori Gongwer, Pony Clubber and UC Berkley student writes...“Most people when looking back at their school years remember one brilliant teacher, who’s enthusiasm and gift of breaking down their subject into manageable lessons, made learning a joy and instilled a sense of accomplishment. In my nearly 20 years now of endeavoring to learn all I can of horses and working with many different horses, trainers, and clinicians, Susan sticks out to me as one of those rare treasures of a teacher. At 5 years old, I can remember tagging along to horse shows where Susan, even while in the middle of preparing all the horses going that day, would take the time to “let me help” and explain all the fascinating details of horsemanship. It’s been quite a few years since then and while I’m now in college and don’t get to ride with Susan as often as I’d like, it never ceases to amaze me just how easily she finds it to make you aware of so many details but never allow it to become overwhelming. There’s nothing quite like learning to let go and focus on the goal she gives you such as putting more weight in on one seat bone or more giving in your hand and all the sudden E2wham!” it just feels RIGHT… (and your horse gives a giant sigh of relief and goes "Duh! What do you think I've been trying to tell you this whole time?!") So thank God, the Universe, or whatever brought you into contact with Susan, because her innate ability to make both you and your horse realize your full potential and be able to reproduce it even when you’re not under her watchful eye is a thing of awe. See it for yourself and if that doesn’t have you sold, I don’t know what will… but the kind of horseman, instructor, and person Susan is, makes me grateful to have had the opportunity to learn from her." “Susan Derr Drake has committed her life to equines. For almost 40 years she has been studying horses and how humans interact with them. Through a broad range of disciplines, she explores how our relationship with horses illuminates deeper truths about ourselves and how, by working together, horses and people can grow together in balance and harmony. Susan has recently moved her stables to Valley View Farm and has scheduled a series workshops on “Achieving Harmony with Your Horse" and travels to give clinics throughout the United States and Europe. 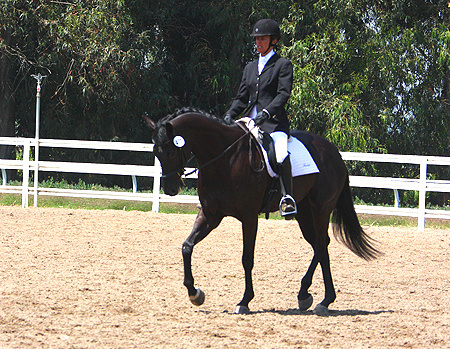 Susan teaches riders in many different types and styles of riding, but she always begins with enhancing, “forward, straight and round” or “ speed, direction and frame” as taught in dressage. Dressage is to riding what ballet is to dance, or figures are to skating, or Iyengar is to yoga. For Susan, dressage is a system for learning the fundamentals about horse anatomy, physiology and movement as influenced by the human body. If you take the time to learn the basics, your horse will be healthier and happier for longer. You can then apply the basics to any style of riding—Trail, English or Western pleasure, Reining, Driving, Hunters and Jumping. And you will be rewarded with an increasingly nuanced ability to read your horse and to learn a great deal about yourself. Synergy is defined as “the interaction of two or more forces so that their combined effect is greater than the individual effect. Susan is a Synergy master. 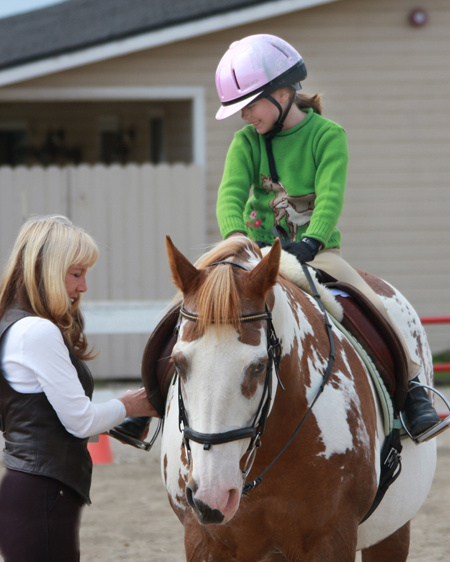 A first lesson with Susan might be just sitting on your horse, adjusting your weight and exerting pressure in different ways to observe how your horse responds. Does your seat create a hollowed out back or can you help your horse use its abs to round up and better carry your weight by creating a bridge within their body to protect their vertebrae and nerves while making it easier to move in any direction with grace and balance? Lessons progress to helping the rider sense the different parts of the horse. Count when the right hind leg is moving forward, feel the barrel swing from side to side, see how the neck and head follow through from the movement of that hind leg. 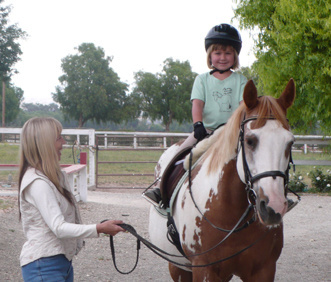 The rider begins to recognize all the moving parts and how they relate to their body’s movement. The next phase is learning to move in response to the horse’s movements. Shift your hips and pelvis with the horse’s rear legs, swing your shoulder forward with the horse’s, let your legs sway with its barrel, press down slightly in the stirrup, and don’t let your neck stiffen up. Something as simple as “relax your jaw” can result in a big corresponding relaxation response in your horse. Then, by playing with the concept of drive, restrain and harmonize in different parts of the bodiess, the horse magically displays, Piaffe, Pirouettes, Passage or the most graceful soft circle or clear transition. While people are upright, horses are long like boats or trailers so they need a smooth sequence of actions from the rider to keep the parts moving in balance. So riding is constantly adjusting all the parts to keep the, rhythm straightness and roundness. It is a dance where the rider leads with subtle pressure on one side while opening up space to move into on the other. With these basics, Susan asks her students to consider the energetic relationship between horse and rider. At one level, everything starts with that powerful hind leg whose force ripples through the horse’s body all the way to its nose, and through the rider’s body from seat bones through the neck and shoulder to the reins, harnessing a continuous and controlled circle of energy. When you first feel it, it’s ecstatic, but brief. It offers a glimmer, though, of what riding can be. For a moment, horse and rider were one. This begins the real work. The student must learn about the many blockages that get in the way of that transcendent moment. "Timing is everything" Susan says. Discovering the basic four phases of the hind leg from sitting phase to pushing phase to lifting phase to reaching phase to sitting phase again, the rider's pallet of aiding possibilities and connection expands beyond measure. Susan is extraordinary in her range of knowledge that can be employed to uncover the source of blockages. She can identify anatomical imbalances in the horse and rider. She will suggest changes in tack. She can spot nutritional problems or faulty shoeing work. Sometimes she will lightly touch the horse or apply a more vigorous bodywork technique that releases pinching or pain. She can transform a horse—from antsy to calm, from rigid to loose, from gimpy to balanced before your very eyes. It can seem like magic, but she is able to share her secrets. From her BS degree in Biology to her years of study as an energetic healer, she can break things down analytically in words, or describe it in a metaphor, or draw you a picture in the arena sand or show you in a mime with her own body or paint the picture in your mind of the feeling. She’s never at a loss for another strategy to better get across what she wants you to understand and feel in your very core. Susan has ridden in 116 dressage Grand Prix events and has schooled 100’s riders including her Rocket Scientist Husband, Paul from raw beginner to receiving his USDF Gold Medal in the Grand Prix. He is riding Alanti, a very sound 20 year old Hanoverian red mare. Enough said! She schools riders for high-level competition, but enjoys most working with riders, whatever their skills and goals, because it is in transforming the relationship between horse and rider that she derives her greatest satisfaction. How can they synchronize their energies to become something greater than either alone? Synergy is her quest! for creating happier, healthier horses with me! "